Hankook Coating, now a prominent company in the areas of industrial coating treatment in Korea, has been consistently diversifying its industrial coating treatment portfolios into such areas as abrasion resistant coating, internal coating, insulation coating, and vertical screws for coal cargo-handling machines. Of them, the offloading screw is used during when the offloading is underway. 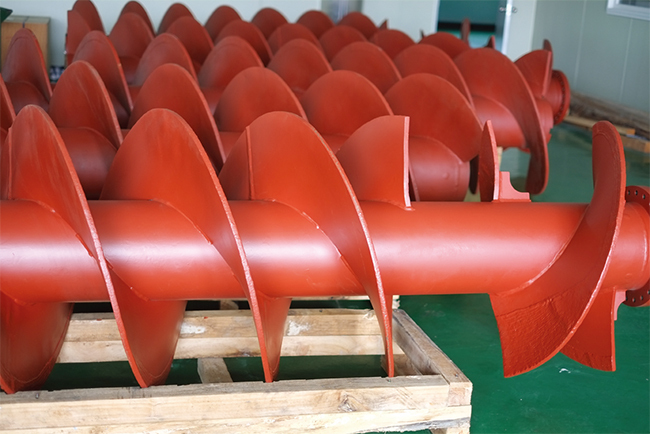 The applied high strength steel pipe and abrasion resistant coating in the body and wings of the screw ensure improved durability. Now, the majority of its coal cargo-offloading vertical screws are being delivered to some developing nations in Southeast Asia. This technology is also certified by ISO 9001, 14001, etc. Furthermore, Hankook Coatings holds various areas of coating treatment technologies: functional coatings in various areas of industries; a technology of sliding-preventing in dangerous facilities; technologies of heat-resistance and insulation in high temperature parts; a technology of break control in rotational parts; and a technology enabling low level friction in operating parts.